Building an addition is one of the most flexible ways to transform a home. Whether you’re considering expanding a room or adding an in-law apartment, additions are a great way to get the home you want without having to move. There are lots of reasons you may be considering an addition, but is it the right option for you? Take a look at some of the reasons an addition will improve your home. Make your dreams come true – One of the biggest benefits of building an addition is that it can be whatever you want it to be. Maybe you simply need to expand a room. Maybe you need to add another bedroom, or even add a new wing to the house. By working with your contractor, you can plan your home renovation to be exactly what you want it to be. You need some space – Is there a homeowner in the world who hasn’t wished for more space from time to time? 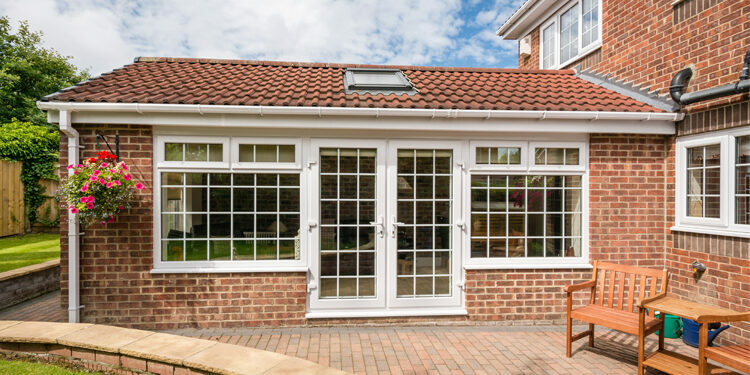 Because of the flexibility that additions provide, you can add space where you need it. Whether you’re making a room bigger or adding whole sections to your home, you’re creating space for storage (or people!) that wasn’t there before. Make way for visitors – Have you been avoiding inviting family members or friends to your home because there’s no place for them to stay? If hosting gatherings at your house ends up with everyone feeling crowded and uncomfortable, and addition might be the answer. A guest room can make room for the people in your life to comfortably stay with you. Growing family, growing home – More room for visitors is great, but an addition can be vital if your family is growing. If you’re expecting a new baby, your adult children are coming back to the nest, or your elderly parents are moving in, your existing home might be fit to burst. An addition can create the space you need to accommodate new family members. The more the merrier! Spend money to make money – You may not need more room for your family, but making space for renters can benefit you in the long run. Renting out a portion of your home is an excellent way to make some extra money. Investing in an addition to your house now can mean some added income later! A better alternative to moving – Of course, if you want more space in your home, moving could be an option. But moving is a huge process – do you really want to pack up your entire house and go somewhere new? On top of that, moving gets very expensive, and in most cases is it much more cost effective to build an addition. As a bonus, you get to stay in the home you love. Increase your home’s value – A well thought-out addition can increase the value of your home. It’s important to remember that not every addition adds value, but if you are adding features to your home that are highly sought-after, buyers may pay more when the time comes to sell. Before you commit to an addition, make sure you know exactly what the process will entail. There are a lot of things to consider when building an addition, so it’s important to be prepared. Talk to your contractor to ensure there will be no surprises. Are you ready to build an addition for your home? Mason Sky is an expert general contracting company. We will help you plan the addition you’ve been dreaming of and we’ll make it a reality.